At Cityzenith we provide open data to all our customers for their decision making. Cities make it so easy to get this data and use it. But there is so much here than open city data. Our partners from General Electric to Mapbox all use open data one way or another to help us all get our jobs done. Just thinking about how much open data has changed how we do business. I remember having to pay GTD an arm and a leg for simple data. A blast from the past hit me as I was cleaning up books in my office. An invoice from GDT (yea I mistyped it above) for their Dynamap product in 1998. What we were getting back then was TIGER data with curation and charged a ton of money. GDT and others organized the data for you which is what you paid for vs the TIGER/Line files that we normally used. Today though we don’t use TIGER data anymore, at least directly. We use OpenStreetMap data which is more complete and accurate than TIGER ever was. 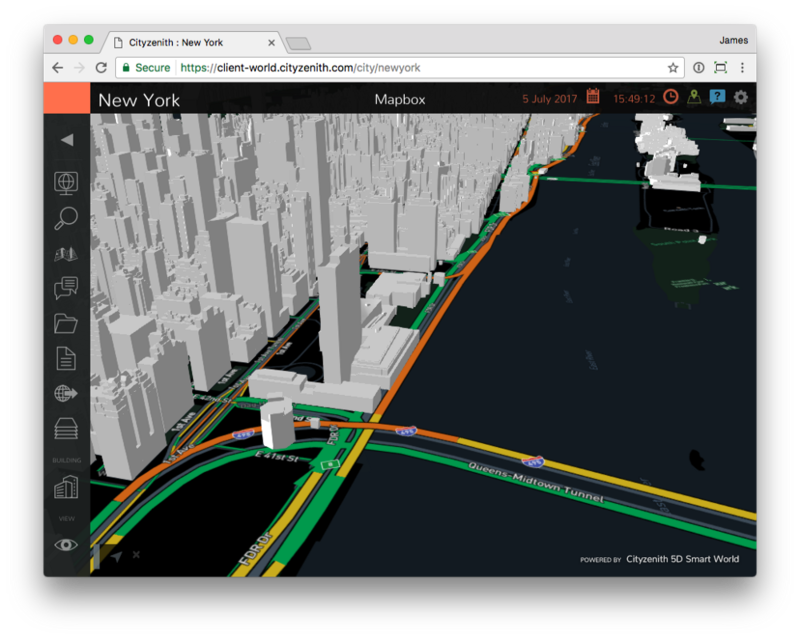 We use Mapbox for our basemaps (aerial, street, traffic, etc) and they’re all built with OSM data. But what is so very different than what GDT and others is companies like Mapbox help build OSM in return for using the data. That means when Cityzenith uses building heights in San Francisco for modeling that we can take advantage of the community and fill in the blanks where needed. That’s the big difference between then and now. You can have literally the same look and feel as Mapbox without having to pay a dime if you want. That’s the big game changer, open access to open data means that we’re all working on the same basemap and making improvements to that map. We can get all emotional with words like democratization but it has changed how we work with data. Power is no longer controlled by large companies (the reason why GDT was purchased by TeleAtlas which was acquired by TomTom). But we never have to worry about that because the map is controlled by everyone. As we move to AR and VR mapping, we’ve got the data in place to make all we need for these virtual environments. That’s why we see such innovation in our space, the freedom to create without fear of not having access to the same data as everyone else.